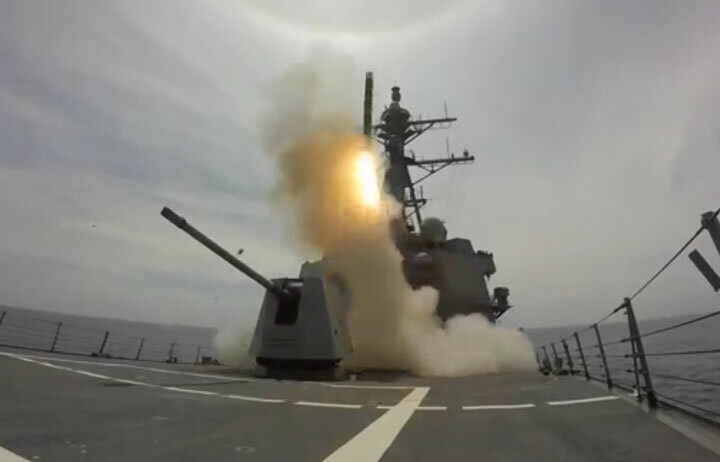 Trump to Fire 50 US Cruise Missiles To Erase Syrian Chemical Attack Air Base, China Next? It appears President Trump is to authorise the imminent launch of air strikes on Syria towards helping break the narrative that he is an 'Manchurian candidate' working for Putin who played a significant hand in getting Trump elected last year. Perhaps Putin failed to properly calculate whether it really is be better for Russia to have an erratic 70 year old toddler in the White House than a rational continuation of the Obama regime in Hillary Clinton. The choreography of an US missile attack is one of where the Russians as expected veto a UN resolution against Syria which would give the green light for Trump to authorise a military strike against the Syrian airbase responsible for Tuesdays chemical weapon attack that killed as many as 100 civilians, mostly women and children in Idlib province. Given Syrian Russia supported air defence capabilities, then the attack will likely involve dozens of US cruise missiles, probably numbering as many as 50 to obliterate the air base responsible and any supporting infrastructure to deter future chemical attacks against rebel areas. Which means that it is highly likely that Trump is going to go off the script that has been circulating in the press and be quite rude to the Chinese dictator, by demanding action be taken on North Korea, the US/China trade imbalance (china stealing jobs) and on the land grab underway in the South China Sea. Basically Trump does not do let's be friends, Trump does "Look China's President came and I won one on x,y,z issue." all of which are flash points I have covered in my above series. 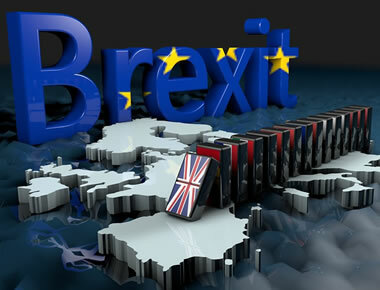 As my recent in-depth analysis includes that British military action in Syria and elsewhere across North Africa would be in the strategic interests of Britain during the Brexit negotiations.